Framed in a classic boxed-steel bridge, the single-coil MFD bridge pickup delivers crisp attack with complex harmonics while individual brass saddles offer modern levels of intonation refinement. Flip to the neck 'bucker and you’ll discover all the charismatic warmth you could ask for. Put 'em together and you'll find yourself immersed in exploring the limits of this guitar's surprising versatility. 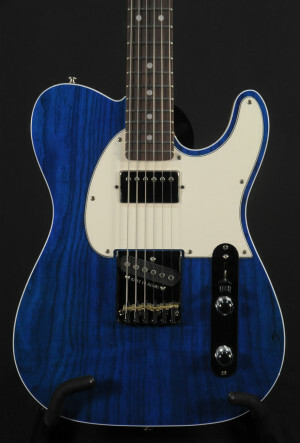 This ASAT Classic Bluesboy has been upgraded with a Swamp Ash top w/ Okoume body, and body binding.